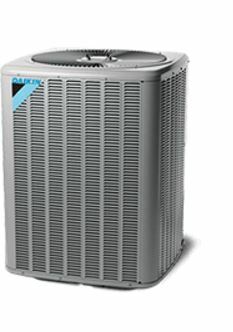 The DX11S Commercial Air Conditioner uses the chlorine-free refrigerant R-410A. The cabinet features a powder-paint finish over heavy-gauge galvanized steel that provides premium durability and improved UV protection. The unit’s attractive louvered metal guard protects the coil from damage and strengthens the unit. The DX13S Three-Phase split air conditioner uses the chlorine-free refrigerant R-410A and offers operating sound levels that are among the best in the heating and cooling business. An additional advantage for commercial installations is the base pan, which is raised to provide excellent water drainage and to help keep the coil away from debris that can accumulate inside the unit.